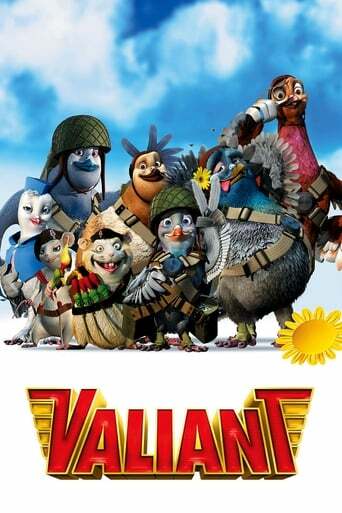 Set in 1944, Valiant is a woodland pigeon who wants to become a great hero someday. When he hears they are hiring recruits for the Royal Homing Pigeon Service, he immediately sets out for London. On the way, he meets a smelly but friendly pigeon named Bugsy, who joins him, mainly to get away from clients he cheated in a game of find-the pebble, and helps him sign up for the war.